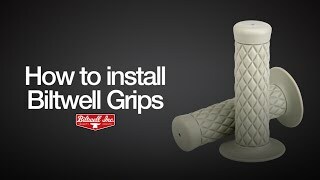 Biltwell Recoil Grips - Black 1"
Black, for 7/8 inch handlebars. 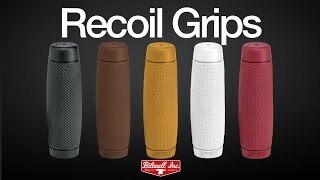 Recoil Grips from Biltwell are Krayton rubber and feature a diamond knurling pattern and curved, football shape for a comfortable, vibration dampening grip. This clean and simple design looks at home on any motorcycle. Sold per pair. I put a set of these on my 2017 Moto Guzzi V9. The stock grips were too small diameter for my big hands, but these are just right. 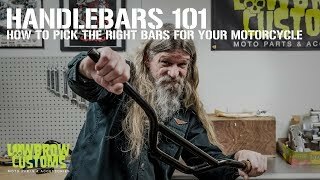 Get the usual Biltwell quality coupled with quick and accurate Lowbrow customer service. Just the ticket. Thank you for the fast delivery. Everything arrived in good order and were as promised. These grips have worked out really well and fit my large hands perfectly.